Forget the noisy bar scenes found in Benson and the Capitol District. 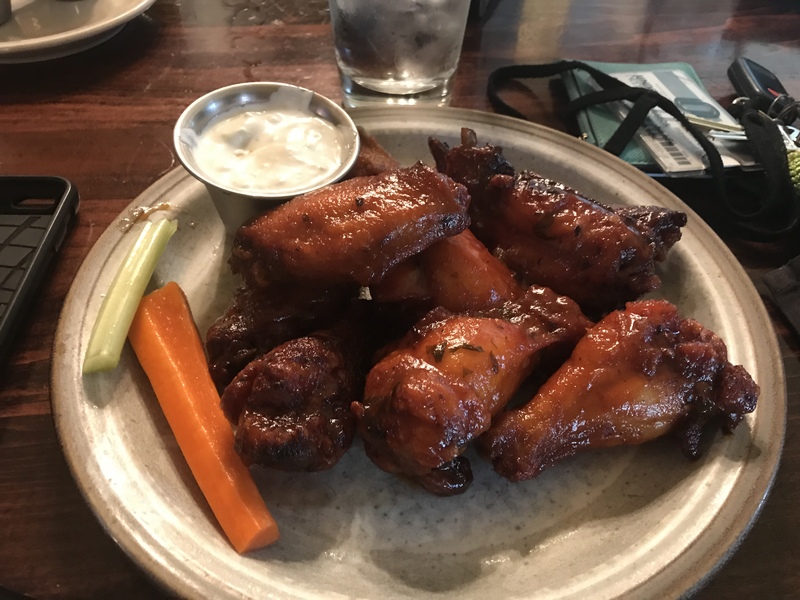 The intimate atmosphere at the Brazen Head Irish Pub is the perfect place to grab a drink and a pound of wings after a long day of class at UNO. Brazen Head, located just off of 78th and Dodge Streets, is conveniently close to campus. With a laid back atmosphere, it’s the perfect place to grab a drink with friends because you’ll actually be able to hear each other speak in the pub. I’d like to think that this is in part due to the intimate atmosphere that welcomes customers as soon as they walk in. From the warm, red double doors outside the building to partitions scattered around the pub for privacy and the old timey memorabilia hanging on the walls, Brazen Head’s set up implores customers to sit and stay awhile. 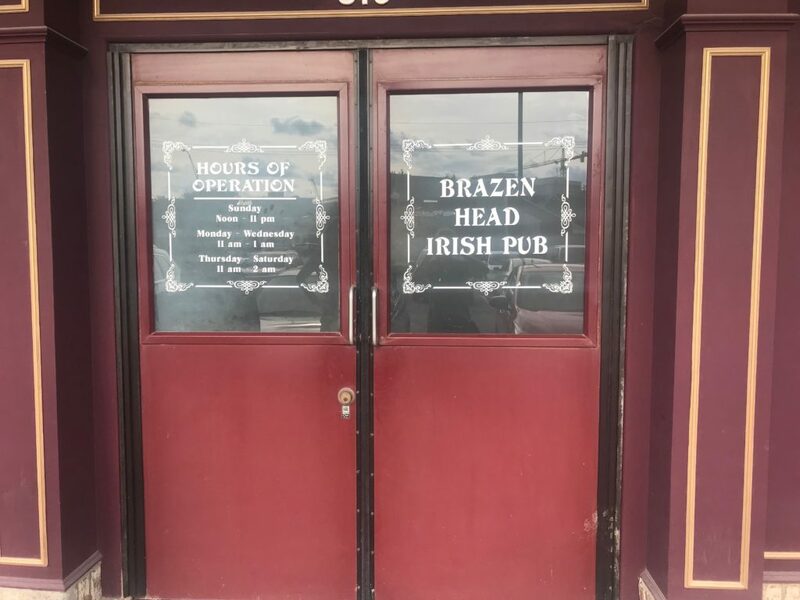 Fun fact: Brazen Head’s interior and atmosphere was modeled off of and named after Dublin’s oldest bar to create a true Irish pub experience in Omaha, Nebraska according to Brazen Head’s website. The food available at the pub strengthens Brazen Head’s authenticity with a portion of the menu labeled classic Irish pub fare. Options in this section include fish and chips, bangers and mashed and corn beef and cabbage. 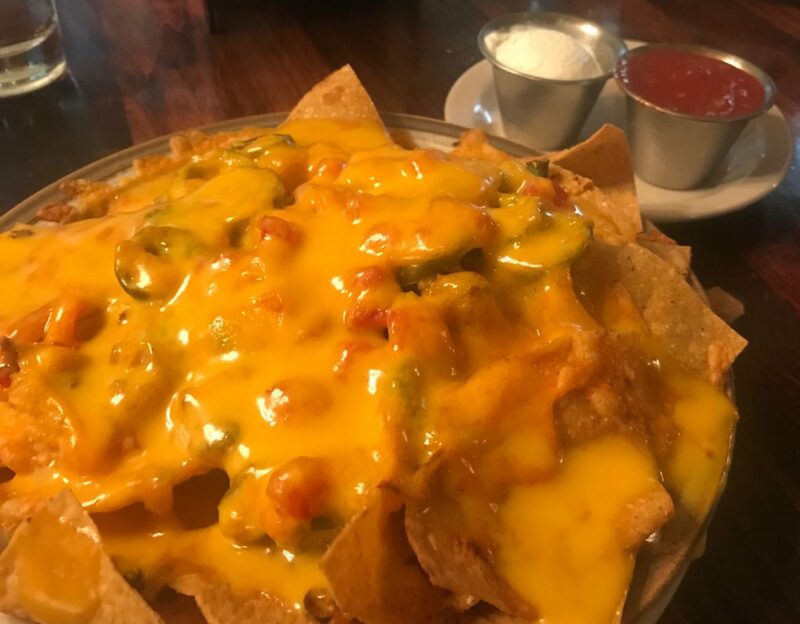 While I can’t speak to the taste of the more traditional Irish menu items, I have sampled several of the appetizers, including the Irish nachos, which feature a hefty portion of gooey cheese, chips, tomatoes, green onion, peppers, jalapenos and ground beef. My plate has been positively heaped with chips and toppings every time I’ve ordered this spicy snack. Plus, it’s filling enough to eat alone, affordable at $9.99 and half price during happy hour, which runs from 3 to 6 p.m. Monday through Friday. I’ve also had the opportunity to try the Jamaican jerk wings and Gaelic hot wings, which were equally as delicious. Both were bone-in and tangy and spicy, respectively. Bonus: the wings are available in a half order during happy hour and come at half price. 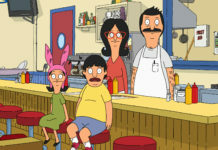 Other menu items featured on the pub’s menu include sandwiches, soups, salads, salmon and boxtys, so everyone should be able to find a dish they’ll enjoy. A kids menu is also available since Brazen Head is open to all ages. As a college student with friends who aren’t 21 yet, the fact that Brazen Head is open to all ages makes going out more convenient since everyone can enjoy the pub’s atmosphere while those who are old enough can grab a drink in a place that feels more sophisticated than your typical restaurant. The one drawback of Brazen Head is that some menu items are a bit on the pricier side. However, the atmosphere and quality service make the price tag well worth a good meal and intimate atmosphere. Check out Brazen Head for yourself at 319 N. 78 St from 11 a.m. to 1 a.m. Monday through Wednesday, 11 a.m. to 2 a.m. Thursday through Saturday or 12 p.m. to 11 p.m. on Sundays. The intimate atmosphere and excellent food won’t disappoint.